SAVVY Contemporary | The laboratory of form-ideas is an art space, discursive platform, place for good talks, foods and drinks––a space for conviviality. Founded in 2009 by Bonaventure Soh Bejeng Ndikung, SAVVY Contemporary situates itself at the threshold of notions of the West and non-West, to understand and deconstruct them. SAVVY Contemporary is a team of about 35 mostly volunteering members from almost all continents, who have realized a kaleidoscope of art exhibitions, research projects, performances, film screenings, lectures, concerts, readings, talks, dances. Last year, SAVVY has set up a new radio station, SAVVY Funk, in the framework of the documenta 14 radio programme EVERY TIME A EAR DI SOUN. 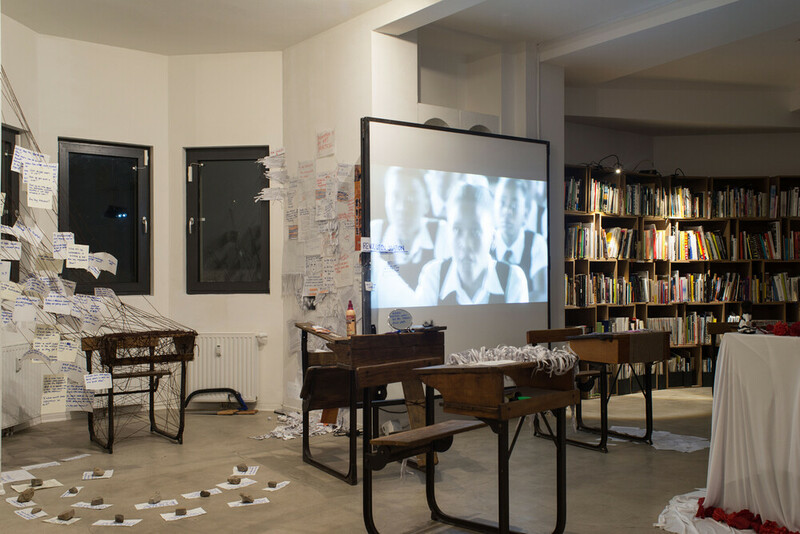 SAVVY has established COLONIAL NEIGHBOURS––a participatory archive on German colonial history, a performance arts documentation centre, a library, a residency program, as well as educational projects with schools. The art space engages in its neighbourhood's historical and socio-political realities which are entangled with the reflections and discourses of the project. With almost a full decade, it is worth to pause and rearview the agencies and ambitions, agitations and turbulences, missions and visions that led to its founding, it is worth deliberating on the beaten and unbeaten tracks SAVVY strode and stumbled upon, as well as stating the challenges of the past and the status quo, and redefining the causes and courses. Lynhan Balatbat–Helbock and Anna Jäger will talk about SAVVY‘s recent projects and future endeavours, what they dream about and what causes them sleepless nights, which recipes bring the team through another late night of exhibition mounting and why hospitality and conviviality are lived and challenged concept in SAVVY’s daily practise. LYNHAN BALATBAT-HELBOCK is a curator and researcher at S A V V Y Contemporary where she is part of the participatory archive project Colonial Neighbours. She received her MA inPostcolonial Cultures and Global Policy at Goldsmiths University of London and moved to Berlin in 2013. In her work within the permanent collection of SAVVY Contemporary she looks for colonial traces that are manifested in our present. The collaborative archive dedicates itself to discussing silenced histories and to the decanonization of the Western gaze through objects and the stories behind them. In close collaboration with artists, initiatives and activists, the archive is activated through hybrid forms of practice. Most recently, she assisted the management for the documenta14 radio program––Every Time a Ear di Soun, SAVVY Funk in Berlin (June–July 2017). 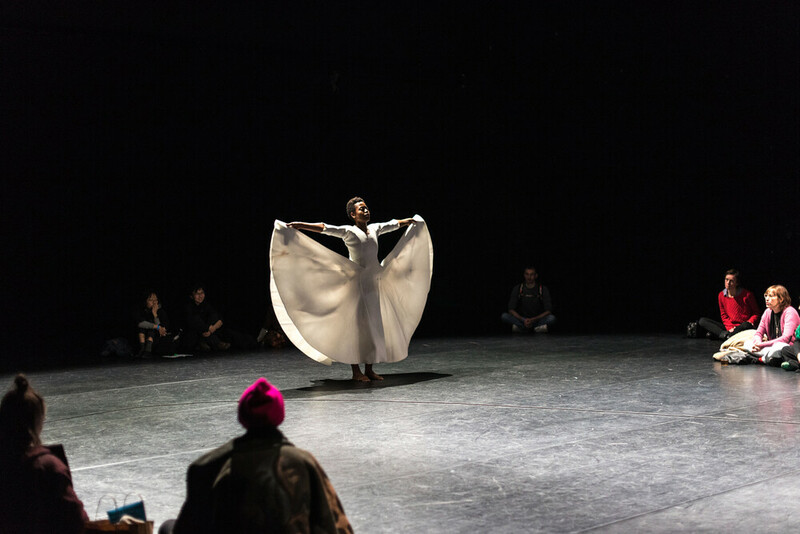 She supported the artist Bouchra Khalili with several projects and exhibitions (May 2015–May 2016) and worked on a yearlong research project on Julius Eastman in a collaboration between SAVVY Contemporary and the Maerzmusik festival (Berliner Festspiele, March 2017–2018). She is currently supporting the production of Agnieszka Polska´s new commission for Germany’s National Gallery Prize show in the Hamburger Bahnhof in Berlin (September 2018). ANNA JÄGER is a cultural programmer, curator, translator and editor. She is a member of SAVVY Contemporary where she heads Communications, and curates projects like That, Around Which the Universe Revolves: On Rhythmanalysis of Memory, Times, Bodies in Space (2016-2018), WIR SIND ALLE BERLINER: 1884-2014 (2014-2015) and but the sea kept turning blank pages looking for history: On the State of Refugeeness (2014), as well as readings and talks with Teju Cole, John Freeman, Taiye Selasi, and others. Anna has worked for documenta 14 in Athens and Kassel, and for the German pavilion at the Venice Biennial 2015. She has curated and organized cultural programmes, a.o. 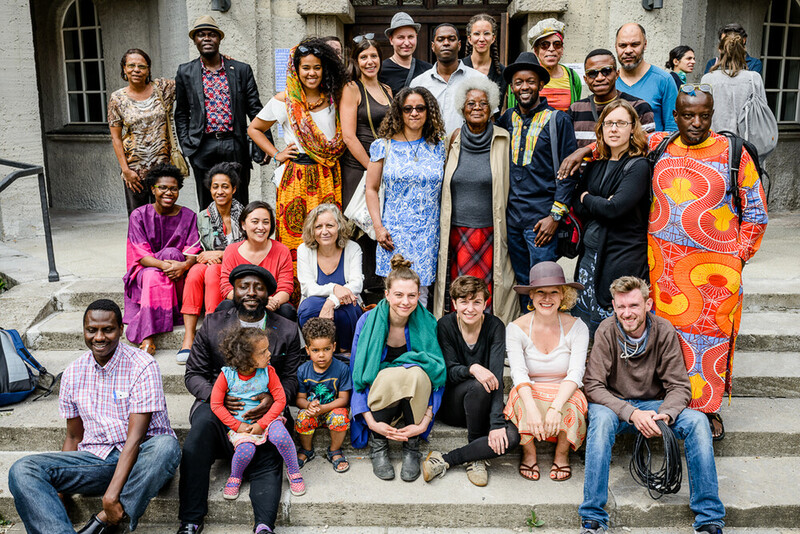 LIFELINES#2 with and for Nuruddin Farah at the HKW Berlin and SPOKEN WOR:L:DS – a lyrical exchange project between Nairobi and Berlin. Anna has translated stories, interviews, poems, films and plays from English and Kiswahili to German – among others by Binyavanga Wainaina, Elnathan John, Yemisi Aribisala, Billy Kahora, Percy Zvomuya, Adam Shafi, Farouk Topan and Abdilatif Abdalla. In 2015, she was awarded with the research and work grant by the Senate of Berlin. In 2017, she was a translator in residency at the International Writers and Translators' House in Ventspils, Latvia.